The Department of Psychiatry at SBH offers a wide range of clinical services to children, adults and geriatric patients. Our priorities include providing the highest quality of care for individuals and families who seek clinical care, and promoting the career development of faculty, trainees, and staff to further advance their level of expertise. Many services for our patients are provided by SBH Behavioral Health (SBHBH), our affiliated comprehensive mental health outpatient program. The mission of SBHBH, formerly known as Fordham-Tremont Mental Health Services, is to improve the mental health and the overall quality of life for the diverse residents of the communities we serve. In the past year, the Department has recruited several new psychiatrists, who together with the already established community of psychiatrists and psychologists are involved in the diagnosis and treatment of mental disorders in our community. Another recent accomplishment is the accreditation by ACGME (Accreditation Committee for Graduate Medical Education) of a new Psychiatry Residency Program designed to successfully train the next generation of psychiatrists. This program will enrich an academic environment which includes a robust medical student training module and a clinical psychology externship. At a time when many Departments of Psychiatry are limiting, we are fortunate to continue to expand and to address the growing mental health needs of the diverse community our institutions serves. The Adult Inpatient Service is comprised of two designated units with a total of 49 beds. The staffing of this service includes four full-time psychiatrists, two full-time clinical psychologists, one full-time physician assistant, three full-time social workers, three full-time activity therapists and a complement of nursing staff. Upon admission to the Psychiatric Service, each patient is assigned a treatment team consisting of a psychiatrist, psychologist, social worker, primary nurse, and activity therapist. This team oversees every aspect of patient care and, in collaboration with the patient themselves, assumes responsibility for developing an individualized treatment plan. The plan is formally reviewed and revised as goals are met. A psychiatrist evaluates all patients and prescribes medication. All patients are evaluated medically and any medical issues are addressed. Patients are also provided with group and milieu therapies. Groups typically focus on helping patients cope with their illness, and assisting them in reducing their potential for relapse. 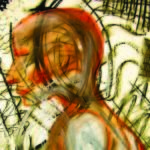 Patients may receive individual psychotherapy as appropriate. The discharge planning process is an important aspect of treatment, and is begun as soon as a patient is admitted to the psychiatric service. We involve each discipline in this process. The primary goal of discharge planning is the development of a safe and appropriate discharge plan that maximizes the individual’s ability to function as independently as possible in the community and reduce the patient’s potential for relapse. This goal is accomplished by ensuring that each patient is referred for appropriate follow-up and aftercare services to help them cope with their illness and life stressors. 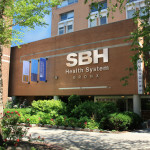 For many of our patients, these services are provided by SBH Behavioral Health. The Consultation-Liaison Service performs psychiatric evaluations on any patient admitted to all other clinical services (medicine, surgery, pediatrics, etc.) and to the Emergency Department (which is divided into separate pediatric and adult emergency units with a combined census of 100,000 visits/year). The Emergency Department also has a separate suite (ED 3) for the evaluation and management of psychiatric patients; this facility also includes an office and interview room. These programs are committed to providing comprehensive and culturally sensitive mental health services to adults. Individual, group, family psychotherapy and psychopharmacological services are provided to adults, 18 years of age and older. Services are provided by licensed social workers, mental health workers, an RN and psychiatrists. Treatment is based on the individual needs of the patient after a thorough assessment and evaluation. AOC is located at 2021 Grand Concourse, 8th floor; CRS at 260 E. 188th Street, 4th floor. The CAFS program is dedicated to enhancing the individual, family, educational and community stability of children, adolescents and young adults, while actively collaborating with parents, caregivers and community organizations. Serving children, adolescents and young adults between the ages of 5 and 21 and their families, the program is committed to the improvement of patients’ lives by providing comprehensive mental health and related services that promote their overall well-being. Individual, group, and family psychotherapy, crisis intervention and psychopharmacological services are provided by our team of licensed social workers, mental health workers and child psychiatrists. This includes services for children who attend P.S. 85. The program is located at 2021 Grand Concourse, 9th floor. DCCS offers individual, group, family psychotherapy and psychopharmacological services to those between the ages of 5 and 21 and their families, including children who attend PS 32 and 205. It works with patients with conditions similar to the CAFS program. The program is located at 260 E. 188th Street, 2nd floor. This program is committed to providing comprehensive and culturally sensitive mental health services to patients starting at the age of 5. The main goal of the program is the enhancement of the patient’s strengths, maintaining them as an integral part of the community. Individual, group, and family psychotherapy and psychopharmacological services addressing a wide range of emotional and behavioral problems are provided. 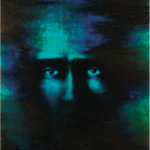 Psychiatric evaluations and medication are available in conjunction with ongoing treatment. The program is located at 326 E. 149th Street, Bronx. The LINK Program provides diversion, transition and discharge planning for individuals who are being discharged from the New York City and New York State Correctional Systems. Medication assurance, case management, advocacy and referral services are also provided. The program is located at 260 E. 188th Street, 4th floor. Care management services for adults are provided here to help manage appointments with doctors or other health care providers; help to understand and manage their medications and plan of care that will include wellness and health living; and help to get social services. The program is located at 2021 Grand Concourse, 6th floor, and at 260 E. 188th Street, 2nd floor. Referrals: Our Centralized Intake Program accepts referrals from all hospitals, the community and agencies throughout the Bronx. Referrals may be made via telephone, fax and/or walk-in. Initial Evaluation: The initial evaluation for all patients consists of two appointments to complete a Comprehensive Psychosocial Assessment. After the initial assessment, the patient is referred to one of our programs to be evaluated by a psychiatrist, if needed, for medication management and a clinical social worker for ongoing psychotherapy. Treatment: Following the initial evaluation, patients receiving care will be engaged in a treatment planning process. Each patient will work with the treatment team to identify goals of treatment, with a treatment plan created – incorporating evidence-based psychopharmacologic care and psychotherapy – to achieve these goals. Relay, part of the New York City Department of Health and Mental Hygiene’s HealingNYC initiative to reduce the opioid overdose epidemic, arrived at SBH Health System in February, making it the fifth hospital site since being launched in June 2017…. 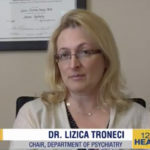 ﻿ News 12 the Bronx spoke to Dr. Lizica Troneci, Chair, Department of Psychiatry at SBH on suicide, a subject that the recent deaths of Kate Spade and Anthony Bourdain have cast a spotlight on.